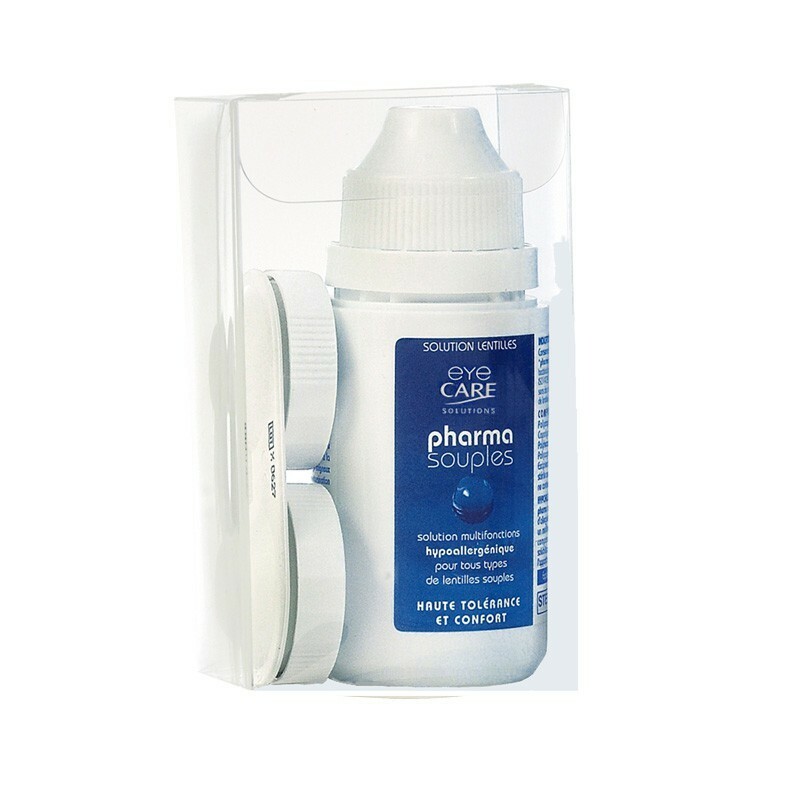 Pharma Souples all in one solution hypoallergenic for soft contact lenses and silicon hydrogel lenses. Cleanses : removes deposits that gather on the lense surface. Decontaminates and preserves : eliminates bacteria and other micro-organisms. Avoids protein deposits : the lenses are always clean. Rinses and lubricates : an instant sensation of comfort when insering lenses that last all day. Wetts : helps tears maintain optimal moisture levels so lenses always feel comfortable. Always handle with clean hands, thoroughly washed and rinsed. Cleanse lenses and decontaminate after use. Top up care solution every day. Keep lens case clean. Remove lenses if your eyes get red or painful, and consult a specialist. Always carry a pair of glasses and all you need to remove lenses. Follow maintenance instructions. Put your makeup on after inserting lenses. Never leave lenses without conservation solution. Never lend your lenses. Never wear lenses in swimming pools or jacuzzi.